In the Gobi (means very large and very dry in Mongolian) Desert, population is very low due to low water supply and extreme temperatures. Most people live near oases for water, making the Gobi Desert’s population density bunched up and not scattered. High up in the Himalayas Mountains, population isn’t as high either. The density is more spread out compared to the Gobi Desert but the harsh cold and slanted land make the inhabitants’ lives harder. 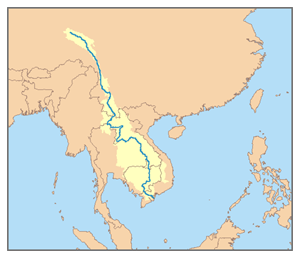 The most populated area in Eastern/Southern Asia is near rivers. The climate is mild and people are located right next to water, making life easier than living in the Gobi Desert or Himalayas. There are many physical features in Southeast Asia. For example, people living in the Himalayas might have the job of a Sherpas. They probably won’t farm or drive in a car because it is so difficult to do these things due to the rockiness of the mountains which does not allow people to build safe roads or let plants grow. Two examples of deserts in Southeast Asia are the Gobi desert and the Taklimakan desert. In a desert, the person is most likely to be an animal herder. There won’t be much farming since it is a desert and it is to dry and has a lack of rain for plants to be able to grow. There are few cars or any type of transportation in the desert because there are not many roads. There is not a great population density. In fact, there are small villages in the deserts. Most of the people live near rivers because it obviously has easy access to trade and transportation by boats. You have fertile soil for farming, boats for transportation, fishing as a job, and lots of trading. There are three rivers the Huang He or Yellow River, Yangtze, Ganges, and the Indus river. There are many types of transportation boats, foot, cars, and animals. There is a great population because of the many businesses and jobs available. Most of the population live near rivers. Mountains don't have many roads so that makes transportation and trade much more difficult. Deserts don't have much water which doesn't allow plants to grow or provide much water for the people.